ARE YOU MAD at Mayor Nutter? 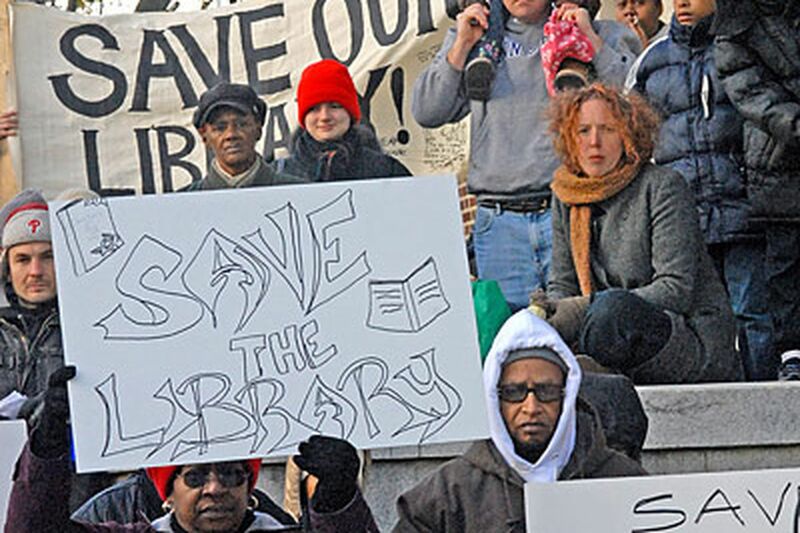 Seems like everybody I talk to these days is, and not just friends of libraries and others affected by his budget cuts. I mean good-government nerds, the people in the business and nonprofit communities you'd think would be the heart of the mayor's base. Which has to be a bummer for Nutter. In the course of a month, it seems, he's gone from being the guy everybody loves to the guy nobody loves. He sails into inauguration as the mayor of unity, optimism and civic reform. He gets national acclaim as the post-racial urban politician, makes the New York Times Magazine. Pennsylvania is center stage for the presidential rumble, so he spends the spring whipping up big crowds for Hillary Clinton, which is fun, and appearing on national TV, also fun. He delivers a budget full of goodies, settles city union contracts with smiles all around, and gives warmly received speeches on planning, education, greening, and more. In the summer, Bill Maher interviews him on HBO at the Democratic National Convention in Denver. In the fall he gets to warm up crowds for Obama - more TV time. And then, wonder of wonders, we get a World Series parade, with Mayor Mike holding the trophy aloft while millions along Broad Street cheer. Does it get any better? And then . . . it's over. Every honeymoon ends, but Nutter's ended like newlyweds' on a Thailand beach the day the Tsunami hit. For every local government, the national economic meltdown is a calamity the duration and dimensions of which we still don't know. But it's the kind of thing that tends to change your agenda from whatever it was to just plain survival. It is truly a New Day. His administration is dysfunctional. There's no center to it, and senior players don't have clearly defined roles. He doesn't listen to people. He tries to be everything to everybody, and hasn't identified clear priorities. He's failed to make tough decisions, like taking on the unions and getting employee-benefit costs under control. His abandonment of tax cuts is a shortsighted, job-killing strategy that encourages the middle class to abandon the city. What do I think? I thought at the time that his first budget wasn't fiscally conservative enough. He spread lots of goodies around and burned through two-thirds of the surplus he'd inherited. If he'd spent $30 million less, maybe we wouldn't have to close all those libraries so quickly. Nutter has assembled a team with a lot of brainpower, but I wonder how well they function together, whether he delegates enough and whether lines of responsibility are clear. And I wonder if some of his people are more thinkers and planners than doers. My advice to Nutter: Make sure that by year's end your team can identify a dozen projects under way that clearly will save the city money or deliver services better, and will show results soon. Make sure you know what your policy priorities will be in a time when you can't do everything. And put as much thought and care into communicating bad news as good news. Who knows? Maybe a second honeymoon is down the road. E-mail daviesd@phillynews.com or call 215-854-2595.